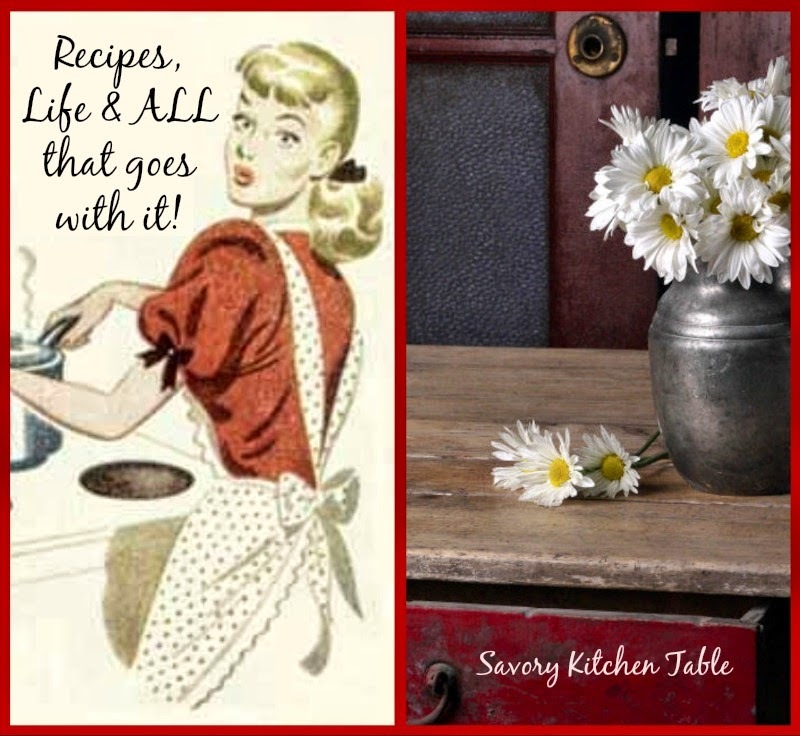 Savory Kitchen Table: KITCHEN UTENSILS ~ COOKING TOOLS OR GADGETS? KITCHEN UTENSILS ~ COOKING TOOLS OR GADGETS? Kitchen utensils and/or gadgets is one of those subjective topics. Each and every cook has "their" set of indispensable kitchen tools. Let's face it, they are tools, but in our case they are fun tools and everyone's idea of fun is a bit different. I'm going to give you my idea of "essential" tools, but you'll have to develop your own list based on your own experience, perceptions and expectations. I have been known to use many "tools" for other than their intended use with great results. I'm a little like MacGyver in the kitchen ~ whatever works to get the job done is fine by me. To me, gadgets are dust collectors though many other people may use their gadgets with great success. Cutting Boards ~ I have several and always use a fresh one when changing from meat to vegetable. Mortar & Pestle ~ Mortars and pestles were traditionally used in pharmacies to crush various ingredients. Mortars are also used in cooking to prepare ingredients like grinding herbs into finer powders. Salad Spinner ~ I like my salads dry and love a good salad spinner from OXO. Juicer ~ I use a small manual juicer that works great. Colanders ~ I have 3 sizes of stainless steel colanders- small, medium and large and love having the choice! Kitchen timer ~ I've tried them all, but prefer my Pampered chef electronic one. It's the only one I seem to be able to hear all over the house. A couple of nice pairs of tongs. I like my Williams Sonoma tongs with the locking hinge. A selection of slotted spoons in various sizes. A selection of non-slotted spoons in various aizes. A selection of flexible spatulas in various sizes. As I replace them I select a silicone heat resistant version of what I previously had. A selection of pancake turner style spatulas. A selection of ladles in various sizes. A good whisk and a couple of Pampered chef mini-whisks. 2 sizes of hand held graters and a smaller rasp style for herb and spices. At least one set of stainless steel measuring cups. At least 2 sets of stainless steel measuring spoons. Several sizes (2, 4, 8 cup) glass measuring cups. Thaw pastry sheet for 40 minutes. Unfold pastry sheet onto lightly floured surface. Top with floured sheet of wax paper and roll slightly larger. Cut into 12-3 inch squares. Press 1 piece into each muffin cup. In the microwave melt the butter and chocolate together - stir well. 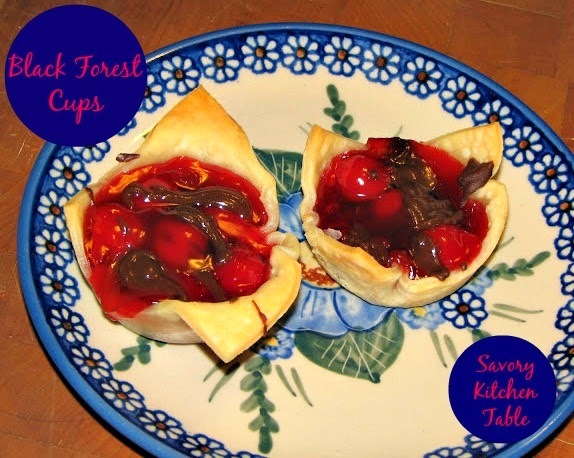 Place a spoonful of chocolate mixture in the center of each one, reserving enough for drizzle. Mix together the Comstock cherries and rum. Divide cherry mix in the center of each. Drizzle with remaining chocolate mixture. Remove from pan and cool another 10 minutes.